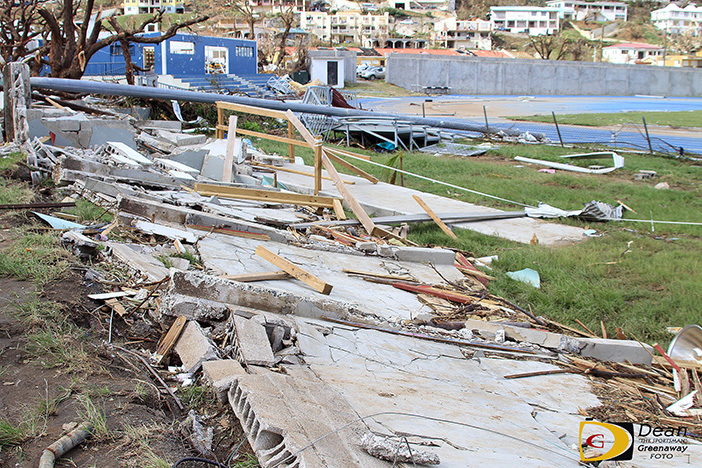 TORTOLA—The success of the British Virgin Islands athletes this year, has been overshadowed not only by the recent passing of Chief Coach Dag Samuels during Hurricane Irma, but also by Irma’s demolition of the A. O. Shirley Grounds, their ‘home’ training and competition base that Samuels also managed. 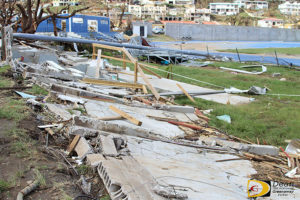 It was as if someone went on a rampage, starting with 400 feet of the grounds’ northern wall that was blown down when the winds came from the north, everything was thrown towards the track. Part of the temporary stands next to the grand stand lies in a bundle of rubble against the southern wall. Other parts of the stands are on the James Walter Francis Drive and the Festival Village Ground, 800 feet away. Small gas cylinders from the Botanic Gas Station across the street on the north side of the track, lie against the wall in the rubble with the stands. The Pavilion which was constructed in the early 1970s and used through 2004 when the grounds was used for cricket, had its roof blown off. Part of the structure is destroyed and all but one pole with the bank of flood lights, have been blown down. On the southern side, one of the poles is held up by the wall. 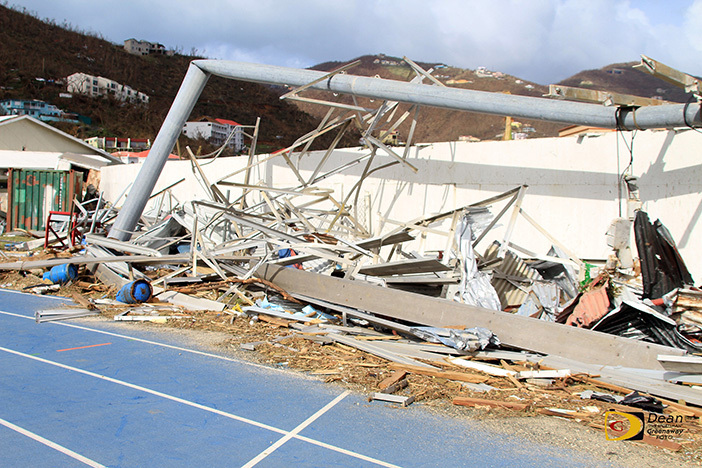 The trailer under the grand stand that was erected when the BVI hosted the 2011 Caribbean and Central American Age Group Championships, only the structure of the container with the bathrooms under the grand stand remain, after it was gutted. They gym and medial room are both damaged and there’s debris everywhere. The running surface has numerous cuts and missing pieces from the stands being dragged across it. Both sand pits for the Long Jump on the northern side of the track have been filled with dirt. A light pole lays on the track in the area of Supra Valu and there are several abrasions to the track front the 400m start and on the Javelin Throw apron. Royal Marines are using the infield to land their helicopter and bring supplies. The current situation disrupts plans for fall training in preparation for the 2018 season.